Trade magazines are business-to-business publications that seek to inform and educate audiences in the industry covered, but also need to succeed financially themselves. As a result, these magazines often accept advertising to help defray the cost of publication. This provides an opportunity to get your business in front of a narrowly-segmented audience that's interested in what you have to sell. Trade magazines target niche audiences -- which may be the right group to buy your products or services. You won't have to guess whether its demographic matches your own target audience. Any trade magazine's advertising department should be able to provide readership details -- not just the circulation, but audience demographics, job titles, company sizes and other critical data. Most trade magazines will provide specific details about their readership in a media kit, so you'll know exactly who you're likely to reach and what their interests are. Getting your name in front of a trade magazine's audience and building brand recognition can help create relationships down the road. Advertisements ensure that your brand is presented in the desired way, and specific advertising techniques can target specific goals. For example, an advertorial -- an advertisement designed to look and read like an editorial or news article -- can show your company's expertise and establish you as a thought leader in front of your competitors and peers. Those who consume business-to-business media are loyal. According to the Association of Business Information & Media Companies, 45 percent said that advertisements in print magazines inspired them to make a purchase. In addition, as the result of exposure to specific advertisements in B2B publications, 21 percent had a more favorable opinion of the advertiser, and 14 percent would recommend the product or service. What Is the Target Market for the MLB? Even as print declines as an influential advertising medium, trade magazines in particular haven't suffered. In fact, PwC reported in its Global Entertainment and Media Outlook 2015-2019 that trade magazine revenue is expected to rise during that period. Overseas trade magazine growth is expected to be particularly robust, as fast-growing economies like Peru and China have an increasing number of companies looking to expand their knowledge and keep pace with the latest industry development. If your company does business overseas, or is considering doing so, trade magazines can get your name in front of influential eyes. The increasingly competitive battle for advertising dollars means that some trade magazines will be more willing to work with you to meet your advertising needs in a way that they might not have in the past. The American Society of Magazine Editors altered its guidelines in 2015 to allow editors to create advertising content and publishers to place ads on magazine covers. 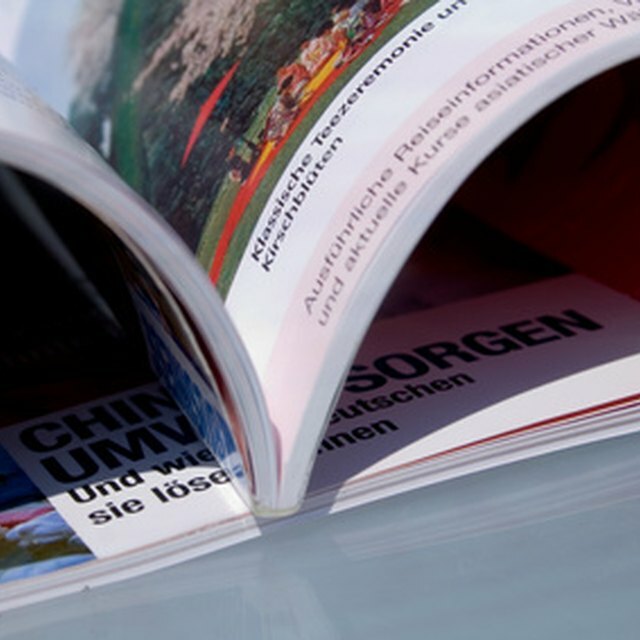 Trade magazines may give industry members discounts on advertising space or otherwise work closely with you to address the realities of your advertising budget.